This week I’m sharing a bit about what I did in my journey to finally realising my building was water damaged and moving home, as well as some of the decisions we made around leaving things behind, replacing them and NOT replacing anything that wasn’t essential. 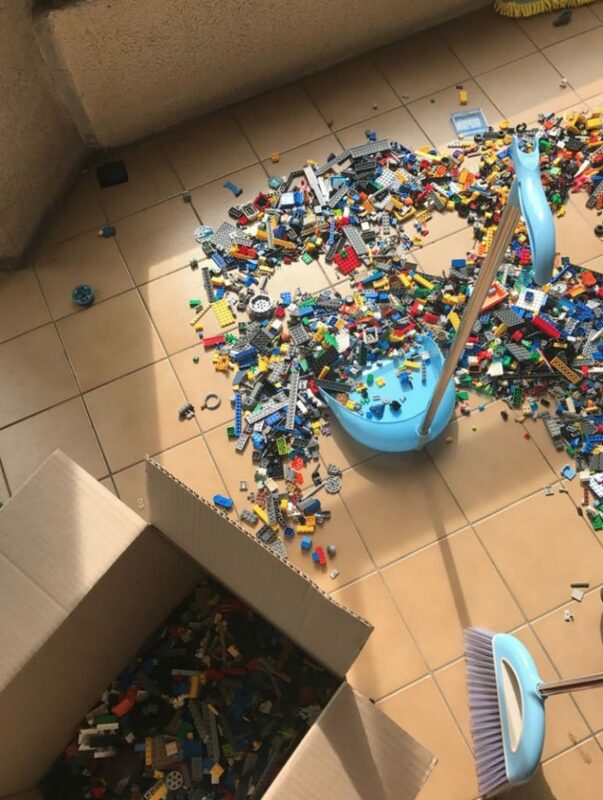 I share how I cleaned the lego, the clothes and the furniture that we were taking and what sorts of products I used. 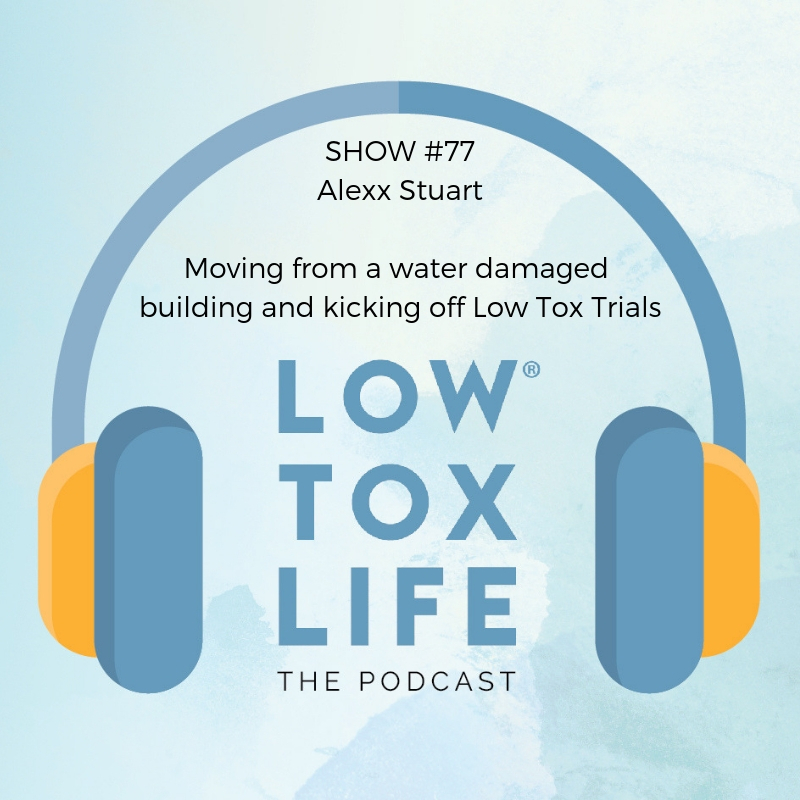 At the end of the show, I launch my first month long trial… The Low Tox life is always about gently building awareness around an aspect of life and stepping up where we can once we KNOW. This trial speaks to my desire to keep things spacious and light at home after all the decluttering as well as saving money to recover from the massive expenditure of couch and beds and moving and I’ll be asking myself this: Is it useful, beautiful or necessary? You’ll have to forgive me. While I’m thinking more and more clearly, I’m not there yet and I am a bit foggy brained still. Details are hard to organise and pin down. BUT, this is as comprehensive as I could think of in terms of what I did – please do ask me any questions you have in the comments. I will share the various treatment protocols that I experimented with soon. MOULD ILLNESS MADE SIMPLE E-Course by Dr Sandeep Gupta. This is brilliant because if you’re affected by mould / mold, chances are your brain is all kinds of foggy and exhausted and you’ll need something to follow step by step. LOWTOXCIRS is a discount that Dr Gupta has given the low tox community for 10% off the course. TOXIC MOULD SUPPORT AUSTRALIA – A brilliant resource with the testing you can do for yourself and your home as well as practitioners versed in CIRS / Chronic inflammatory response syndrome. Surviving Mould – Dr Ritchie Shoemaker’s site – the Dr who coined CIRS and has sen thousands of patients over the decades and successfully healed many. BUILDING BIOLOGY RESOURCES – Nicole Bijlsma’s site and directory to connect with a local building biologist. This is especially important if you own your apartment or home and will be staying as you will need to test everything, then get a good remediation specialist in, then re-test to ensure it’s safe to move back in. Borax for washing your clothes – Try and wash on HOT water setting, or if you have to do cold, dissolve the borax into hot water first and add it to your wash. If you can only wash in cold water, dry the clothes in the sun at least. I get Borax from Blants in AUS or from Amazon in the USA / Europe. I was amazed what doing hot washes and adding 1/2 cup of borax to each load did to our clothes. So clean. Smelt of absolutely nothing. Just pure cotton fresh and mould free. The Visual Contrasting test – take from home for $15! This assesses your neurological function. I’ve failed this test 3 times now over the past 18 months and passed for the first time last week. The results help identify whether you’re being exposed to VOCs or biotoxins. It’s super interesting! 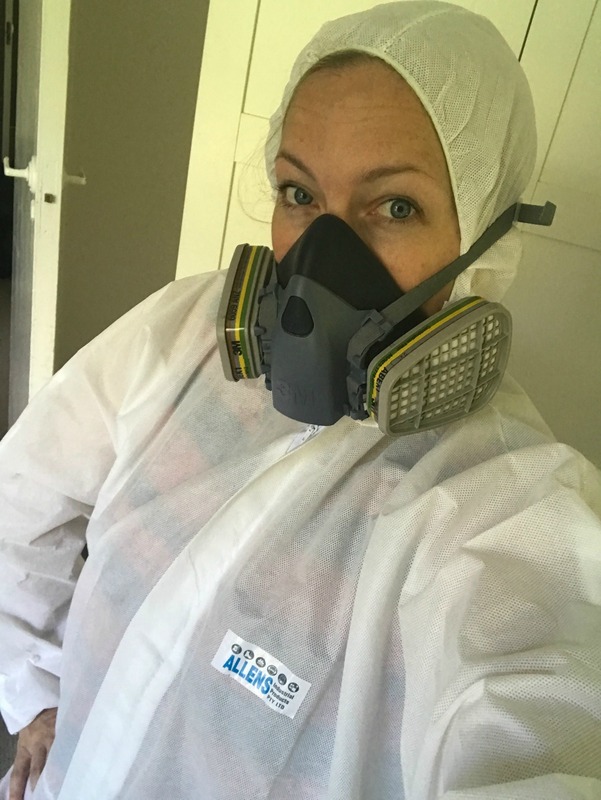 The mask I wore to do my cleaning – 3M 7500 and this matching filter which isn’t a full hepa filter but it is a filter for gases and vapours and I know when I’m being “moulded” and I never felt I was once wearing that mask. I wore my son’s swimming goggles to protect my eyes and for the worst room in the house, I also wore this extremely attractive suit which was absolutely horrid and sweaty but it did protect me while I was in the office, a room whose dust on my skin would feel like I’d experienced a chemical burn… So I had to. To complement the borax for the toy cleaning in the dishwasher, I also used Thieves household cleaner, from the Young Living range which I adore. Sprayed all lego and allowed to dry with Concrobium. Then washed in the dishwasher with 3 capsful of Thieves cleaner and 2 tsp borax. Triple angle zap, I called it. 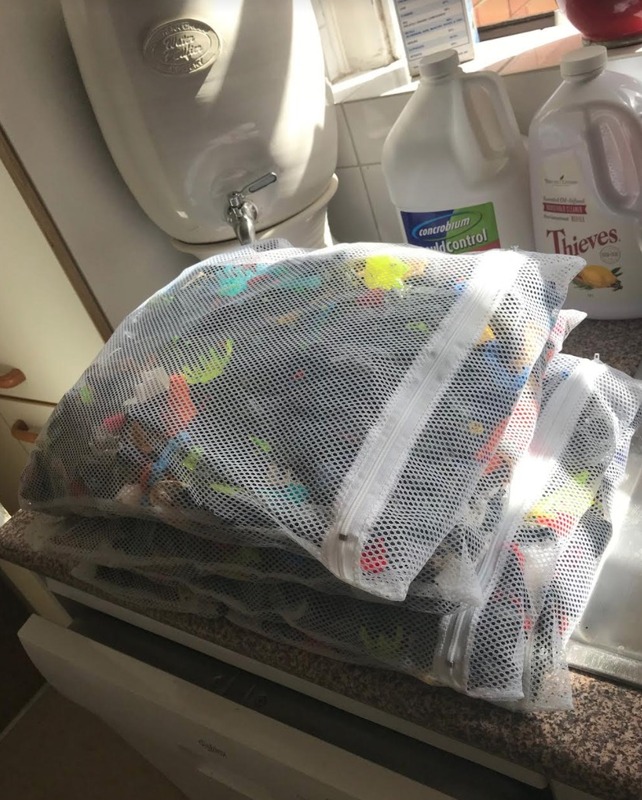 2 bags, one in each side of the top of the dishwasher washed, and then sun dried up the hill at mum’s place as you can see… LEGO FOR DAYS… Too many older cousins hand me downs!! Sun dried lego at mum’s place – Gosh it was fun to do. NOT. hehe! Little man was very grateful though as I’m sure you can imagine. There are people and blogs out there who frankly scared the bejesus out of me with how scary their situations sounded, how sick they got and how extreme they had to go to heal (hello, camping in the desert in a tent!) and sometimes the more I read the more confused I was. I also learned the further I went into things that, unfortunately, getting mould off your stuff is not an exact science. 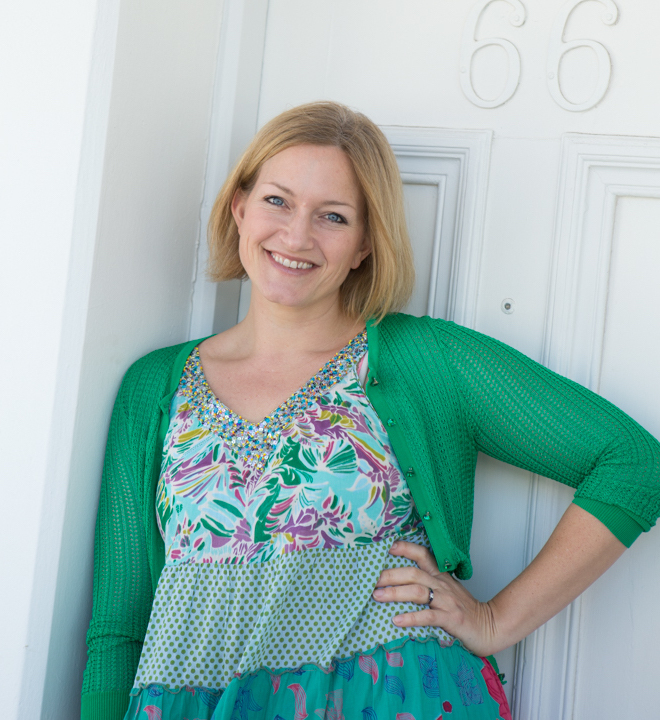 So I went with the sound advise of my practitioners, Nicole Bijlsma building biologist and in the end what sat right with me after having done all the research and taken in all the different points of view and different successes people had had. Throw away everything that was containing foam / fibres such as quilts, sofa, cushion fillings, pillows. The mould gets too deep in there to be certain you’ve been able to effectively treat it. I kept all tax returns, identity doc originals in an archive box that’s gone to mum and dad’s garage. Digitize all of our photographs. Amazing the space that made! I used Hutt St Photos, Adelaide. They are awesome! Popped it in a box in the post office from Sydney. They scanned everything, returned the digital files and the originals which are now archived in the garage. Ditch our belongings by about half, recycling absolutely everything we possibly could to reduce waste. Dry everything you possibly can in the SUN for extra protection and mycotoxin zapping goodness. Dry clean everything you want to take that’s not washable – we dry cleaned a couple of rare cushion covers we had and all our suits / dresses that were dry clean only, using a silicon based cleaning service, instead of icky PERCs. Invest in air filters for the home. We have 1 x Air Oasis in the living space (If I had my time again though and probably down the track, I’d get the AusCLimate air filter without the Ozone in it), and 2 Dyson Hepa filter hot cold combos perfect for small spaces. As Nicole Bijlsma said in our webinar recently: If you don’t have air filters, YOU are the filter. She recommends the Given my body doesn’t recognise mold and its toxins as harmful and requiring excreting, then I can’t afford to be the filter because I can’t actually filter it OUT. And so, filters in our home for life and I’m good with that. When buying a filter just ensure you’re using one that filters particle sizes as small as mycotoxins can be. They will say in their fine print how many microns / what particle size. Be a shoe-free home. Shoes off at the door. 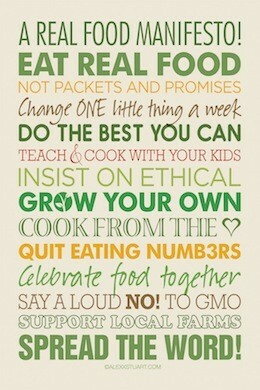 Them’s the rules. it’s one of the top ways you bring in mould, metals and pesticides from the outside world! Me in my suit! Hilarious to look at but I’m so grateful for how it protected me as I worked through everything in the old place. So there you have it – I’m sure I’ve left things out so ask any questions you have in the comments section. I will try to answer asap. If you’re thinking you’re affected by mold, don’t delay. I did and it cost me my health for a year and a half in an acute way and mildly for years prior when I was sure something was up far sooner than I acted on it. I’m not one for regrets, but I am one for admitting if I had my time again, I’d have moved out as soon as I made the first connection between my weight and feeling foggy brained and our apartment, 3 years ago after I had tried everything else to lose weight living a meticulous lifestyle and countless practitioner protocol recommendations to feel sharper in the brain like I used to/knew I could feel. Wishing you WELL because mould illness is horrible, but I’m also letting you know there IS hope and I will share what I learn along the way on my treatment protocol experimentations the past year and a half as well as the one I’m on now, very soon. Thanks again for another great podcast. What were the three mantras you now use when buying things? I can’t find where in the podcast I heard you mention it. Great podcast – thank you! We have been debating for a year whether to move – sounds very similar to you, we are saving for a deposit in Melbourne (not quite as crazy as Sydney prices, but definitely up there! ), really good price rent and amazing location – BUT suspected water damage/mould! So, thanks for the push, but we have committed to moving – now just sorting out what to take/clean/throw out! The only thing I am having a super hard time parting with is our sofa bed – I really love it and it took a long time to buy – did you find anything anywhere on if it is possible to clean sofas (professional cleaners etc??) Thanks! Just a tad about me as I find many people re. Mould detox… say things that just make me more overwhelmed as they aren’t understanding my situation at all. I’ve been severely ill on a disability pension for over 25 years, this is my only income, I have to lay down a lot, I have a really bad back and can’t sit in a regular chair… so can’t be without a mattress, lounge seat… ( some people go with no furniture but given my back… it’s not doable). My decline since birth has been like they describe on the Toxic Mould Support Australia website. Though I had this and that problem growing up it wasn’t til we moved into a house (when I about about 14 yo) that backed onto a lagoon and had a major mould problem, visibly growing on ceiling and walls… that I suddenly had major fatigue that I’d never experience before, felt like it was almost impossible to get to school, stand on the buss… and then come home from school and sleep for 2 hours… And unfortunately having to live in low rent places so much of the time since I’ve been in so many old mouldy places. Before where I am living I was homeless (long story but combo of unaffordable rent, sick, no $ and some really other unfortunate stuff where I was suddenly left with nowhere to live, after years of clinging to have a roof over my head and living in very stressful situations as a result). So, I’m living in this house that has a lot a damage that seems to be to be from water, lack of drainage, ventilation… the interior walls are falling apart, paint bubbling up… (the place is over 100 years old). I did manage to get an Inovaaire E8 air purifier and have it running for about 1.5 weeks now, I feel the air quantity is much better and I noticed and I noticed last night that I think I can even see better. (I haven’t had the VIP test or MaRCons? Test done yet). BTW I signed up not he website/blog but I’ve been shut out and can’t reset my password. So apologies if some of the answers to my questions are more easily found when logged in. But I shall get back onto solving that riddle latter. I’d like to do what I can here and also prepare for when I move. If you don’t mind some questions: is it okay to use borax and thieves cleaner for general dishwashing? Borax is non-toxic on things to eat off and wear? When washing clothes do you put anything with the Borax? How much do you use? I thought I could start washing clothes/linen here and put in plastic bags but I don’t have a sunny spot to dry outside, just a mossy courtyard. I don’t know if that will be a problem? I have some larger furniture items that I had to get loans for… and I won’t be able to again. I have a feather chaise lounge chair from Plush that has Plush Shield (they talk about it on Sensitive Choice website too) I’ve had it for a year now but rarely used it as I’m still not set up here. It has been uncovered most of the time. I shall try and sell if I can but I do need to have something with my back… I’m wondering if that would provide any barrier to spores? And if having HEPA vacuumed and some sort of cleaning will help (Britex cleaners can be hired at Bunnings but I don’t know what they do and I don’t really trust people to know that the science of a product will be sound as most don’t really know much about cleaning up for mould illness). I also have a good mattress (in pristine condition – apart from any unseen spores) and can’t do without mattress. Again, I’ll sell if can (feel bad selling on but without some money I won’t be able to get another) but was wondering if cleaning will at least help that too and two more chairs that I have. Even if I can somewhere get new things there is the offgassing, wearing in a new mattress, finding a mattress is a biggy… I note that places like Simba have mattresses now with charcoal but I don’t know if that helps with off gassing? And I have intense night sweats and the memory foam can cocoon and make worse? I had a memory foam topper but I felt it was making me worse with being able to sleep, waking in shock… I don’t usually get to sleep til 6.30am or after it is so hard for me to sleep. Someone on the TMS fb group said they had the same thing with memory foam and they felt it was the VOCs. Though I’m broke I am very much into design… and fashion and have a shoe collection with most items (can’t wear most shoes because of back 🙁 ). Can the shoes/leather be cleaned at all. I also have bags… Most of which the leather ones have been put through the wash and bagged (before becoming more aware of the mould spores getting right into things I was already fastidious and aware of bacteria, dust…). I won’t be able to leave stuff here for long between moves, just from the time I give notice to when I get into the next. I don’t have money to pay for storage… But I’’m hoping that doing something is better than nothing. Moving somewhere the building is healthy, then even if I have to keep cleaning there. Again, apologies but I am so ill, don’t have much in the way of means, and like you wrote about stepping into this world it can be so confusing, overwhelming. I am alone, 50 years old, have no support, no one to talk thing through with, very ill so it is hard for me to do all the research required and any support to help me move forward from where I am would be appreciated. I have a cleaner coming on Thursday (I’ve arranged through NDIS) who has a HEPA vacuum (Not a great one but better than nothing – I have a Miele but all my property has been stranded in Melbourne the passed 2 years – that has been so hard). The floorboards where I live has those deep grooves between them and since I’ve been here 18months have never been vacuumed (I’ve just had my broom and mop). I also suspect what looks like mould behind my bed, on the inside of the window is mould. I’m wondering whether to just cover the window with plastic, seal with tape and leave it til I move rather than disturb it while I have so many things still in the flat? If you’d like to break up my message to post in more digestible bits and pieces for public display that is okay. I think my comment/message may have accidentally sent while I was still writing it but it seems the system won’t let me resent. Whoops, now I see it’s all there. 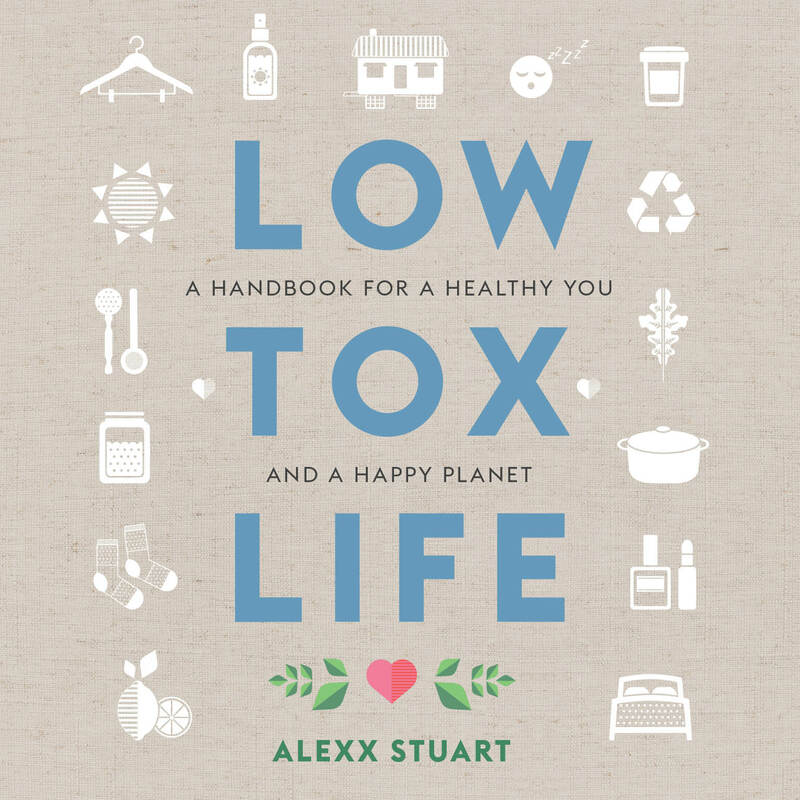 Love the podcast so thank you for all that you do to share low tox living with the world. I see you mentioned needing to get some things dry cleaned and I wonder if you wouldn’t mind sharing where you had this done? 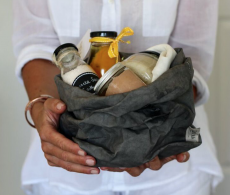 I’m always looking to support businesses who do what they can to practice low tox and since I too live in Sydney figure I might be able to go to the one you do. Dry cleaning seems so toxin filled but for my husband who lives in a suit 5 days a week it’s a necessity. Alexx I’ve tried to do a bit of a search and would appreciate your knowledge, you definitely are my go to when I’m replacing a home big ticket item/ or important one. We are replacing 4 beds in our home – did you look into all of them as there is a big range and now really, did you compare and who did you go with.